Even on the shortest flights, the bummer combo of altitude and dry, recycled cabin air can wreak havoc on skin. Ever wonder how flight attendants manage to protect their skin against the high skies? Well, we went straight to the source and asked Emirates cabin crew member Ashleigh Joseph how she deals. If you’ve ever flown with the Dubai-based airline, you’re aware that its crew members are famously polished and put-together with impeccable skin, hair and makeup from takeoff to landing. Joseph let us in on her secrets for air travel prep, in-flight fixes and post-landing recovery tips. 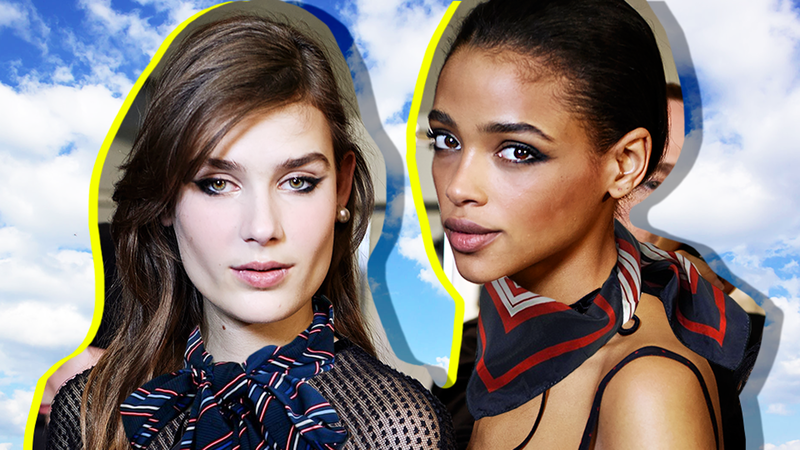 Here, grab her top seven tips to smooth beauty sailing at 35,000 feet and above. Between eating at 4.30 a.m. and traveling across the world’s time zones, Joseph’s one constant is keeping her body hydrated at all times. She recommends lots of green tea, water with lemon or mint and fruits and vegetables to boost your immune system. “One thing this job has taught me is to use primer, primer and more primer before applying makeup.” she says. Splurge on a primer that will keep your makeup in place, and Joseph promises your makeup won’t budge the entire flight. Joseph credits a setting spray with keeping her look fresh despite the long-haul flights. “It requires minimal replenishment throughout the flight and that’s why I love it!” Who doesn’t want to come off a 12-hour flight looking completely relaxed and impossibly fresh looking? “If I look in my cabin bag right now, I’ll have at least three of each: roll on perfume, a shower cap and a sewing kit with spare buttons,” she says. Whether it’s freshening your scent or preserving your blowout during a quick post-landing shower, make sure you have what you need on hand, from dry shampoo to deodorant. One thing Joseph always does post-flight is fit in a little workout. “Once you land, aim to get a bit of exercise, even if it’s just a brisk walk,” she recommends. “Exercise can mobilize the extra fluid.” No puffiness here!